“The land of the free and the home of the brave.” If I wouldn’t know that these words were part of the national anthem, I might think they were sung at the Pesach Seder! After all, on Pesach we celebrate our freedom from servitude – something only achieved by acting brave and courageous. Our ancestors in Egypt didn’t have it easy. Forced to do backbreaking labor, men were also made to do women’s work and women to do jobs typically performed by men. They were physically abused, deprived of sleep and proper nutrition, and never given a moment’s rest. But these deplorable physical conditions only paralleled the state of their psychological and spiritual strain. Stripped of their personal lives, without a moment to think and make sense of their situation, they were mentally overwhelmed. No doubt, this also influenced their descent to the 49th level of impurity. But then, miracle of miracles, at their lowest point – where they were but a hairsbreadth from falling to the 50th level of impurity, from which it would have been impossible to return – they were redeemed with great signs and wonders. This is not only the story of our ancestors. It is the story of every one of us each year during Pesach. We arrive at the Seder table with our own parcel of problems and stresses. We have work-related difficulties, issues with our relationships and marriages, health concerns, and so on. These “burdens” and their harsh daily toll overwhelm us and force us into spiritual slumber. We don’t even realize that we’re asleep, for we have descended. But then we gather together and begin to tell of our Exodus from MitZRayiM (Egypt) – this is also our exit from MetZaRiM, the “straits” and pressures of our daily lives. As we read the words of the Haggadah and perform the mitzvot of Pesach, a Heavenly light shines down on us and infuses our souls with great spiritual yearning. We may not always merit seeing this light, but our souls are touched by it. We have been freed and now we must run! 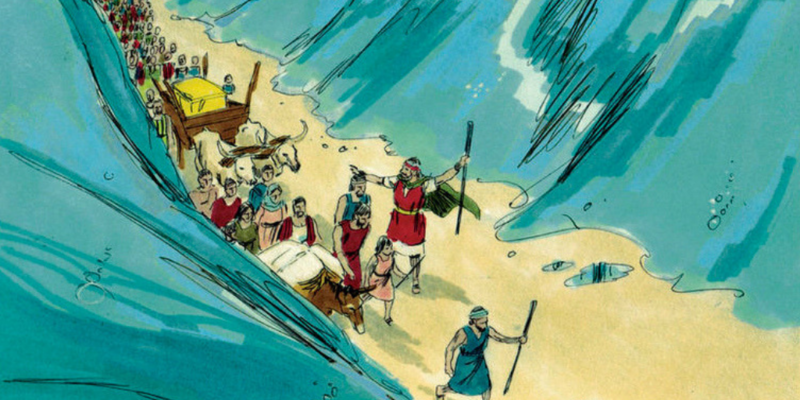 The Jews didn’t have time to prepare for their exodus, and neither do we. The freedom of Pesach isn’t something that we initiate and work towards, but a flash miracle that we cannot truly absorb. Now is not the time to begin understanding and explaining all the things that were holding us back. Now is the time to move forward, to begin getting used to living like free men. 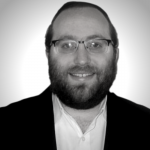 Reb Noson teaches that there is but a small difference between ChaMetZ (leavening) and MatZaH – the difference between the Hebrew letters chet (in chametz) and heh (in matzah). The letter chet is fully enclosed; according to the Kabbalah, it represents chokhmah (wisdom). Like a person who thinks he knows everything and can answer every question, even a minuscule amount of this type of wisdom/leavening is what the Torah prohibits on Pesach. The letter heh, in contrast, has a small opening and is comprised of the letters yod and dalet. The yod also represents wisdom, but the dalet refers to faith. A person who combines faith with wisdom leaves an “opening”: he remains humble while utilizing whatever knowledge he has to further his relationship and faith in God. This is the secret of true freedom. God is ready and waiting to take us out, but will we let Him in? The choice is ours. We can use our wisdom and knowledge to think that we know it all and can save ourselves … or we can stop trying to figure everything out and admit that we don’t have the answers to every question, embarking upon a life of turning to God and trusting that He will lead us. Personal freedom comes when we use our intellect to strengthen our faith in God, rather than letting it enslave us in self-delusion. Pesach kasher v’samei’ach! A happy and kosher Passover to all!